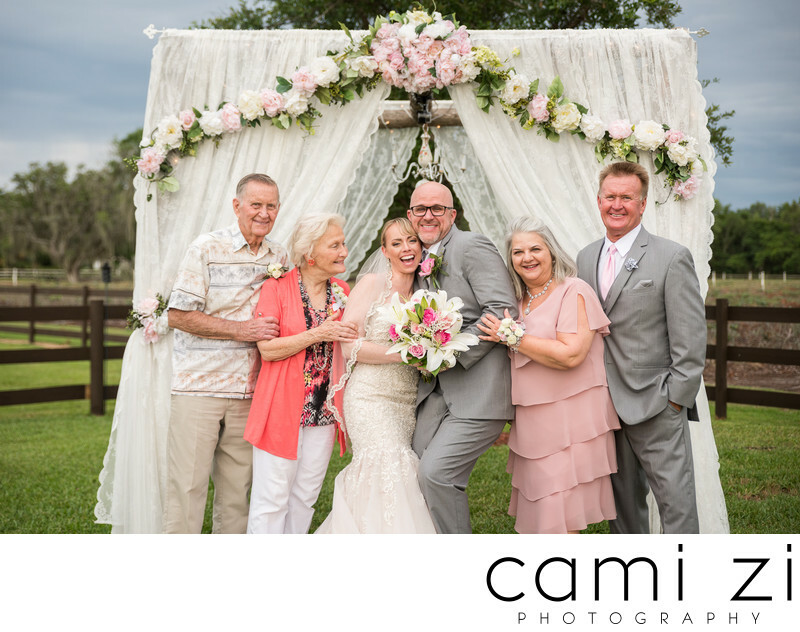 Family Portraits, also called Family Formals, are a very important part of the day! These are some of the most treasured family heirlooms and we want to make sure we don't leave anyone behind. I split these in quick portrait sessions throughout the day to avoid the overload of images that must be taken during cocktail hour. That moment right after ceremony is such a special moment for you, so why not focus in optimizing the time for the two of you, alone. These will be taken prior ceremony, during the Bride Portraits time of the day. These will be taken prior ceremony, during the Groom Portraits time of the day. These are family portraits done with both bride and groom, usually taken immediately after ceremony if there is no first look. Considering venues usually will only give us one hour between ceremony and reception it is extremely important to work together and efficiently on these - this session will determine how much time we have for photos of the two of you! If one of the parents is re-married or has a new significant other, it is important that we discuss how you would like them to be included on these before the wedding day. Keep in mind that larger groups do take longer to organize. People tend to scatter after the ceremony. So if you want larger groups during this session, make sure everyone is aware and stay close for these. Larger groups take 3-5 minutes each to organize and shoot. Extended family photos can always be taken during reception.